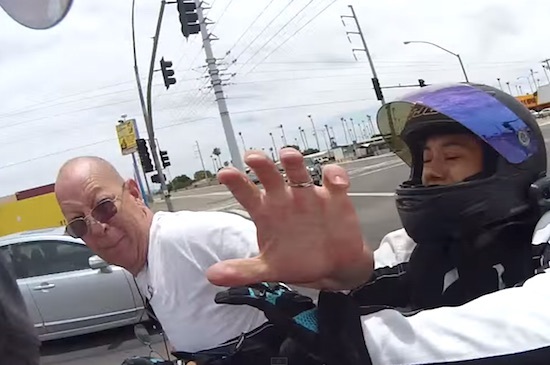 In the video below we can see a deranged old man assault a biker for lane splitting and then being the big man he is, tries to push the bikers girlfriend around also. Man people have to chill.Funny how its always a Honda driver. Props to the biker for keeping his cool.